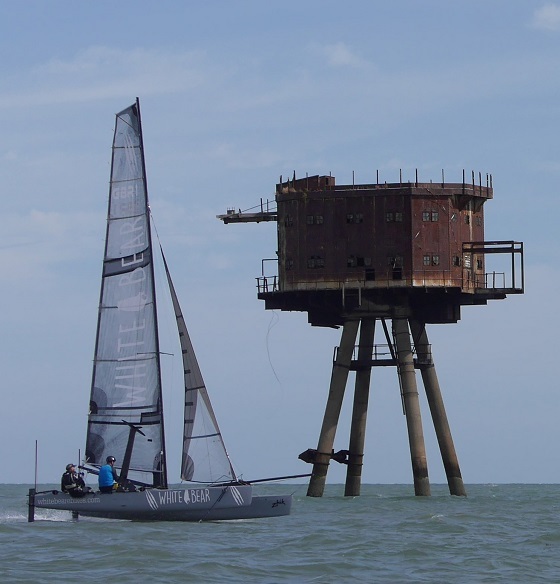 The Forts Race was sailed on Saturday 3rd September, and once again produced proved why it's the UK's premier catamaran long distance race, with top national helms showing up to prove themselves and their boats over the course around the Thames Estuary. 18 boats took part this year, from the extreme end of the catamaran racing scene of Will Sunnocks' Vampire Project foiling custom build, to the 40-year-old class Dart 18 catamarans! Will Sunnucks and Mark Smith on the Vampire Project took line honours, despite gear failure reducing it's ability to foil to a single tack, and the overall winner on handicap was Simon Northrop and Aaron Reynolds on an F18. 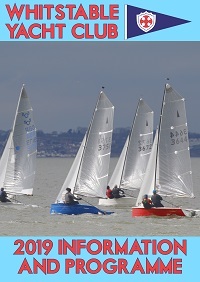 In the Short Course results, Whitstable Yacht Club's Mark Holweger and Max Sellar took first place on their Dart 18. 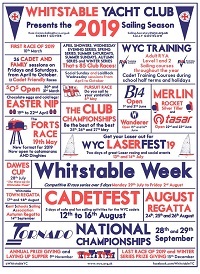 For the full report, see catsailingnews.com/2016/09/the-forts-race-2016-whitstable-yacht.html, and check out the Forts Race Facebook Page for more photos.